Faithcity Rockers. Rockas4life. Oceanic Kingz. Instance Movement. YOUTHWORKER during the days (currently based at a High School) Director/Founder of THEBREAKSNZ LTD events company. So what got you into Breaking? Before I knew what breaking was I used to do 'hiphop' dancing for about 5 years as a young teen. Got into the performing buzz. Then saw breaking for the first time on MTV. 'Jason nevins 'Its like that' music clip, the one with Kujo in it. This dropped here in NZ early 96' So at my next performance with my dance team which was an easter production I asked to do a 'freestyle' Breakdance set. Did some crazy leg stuff and a dolphin dive if I remember. Then got the bug. First Bboying I saw was at a School Gala/Festival where I saw 'New Skool' breakers get down. They were infamous here in Auckland. this was Tazz. 46styles. 4orm. From there we started practicing weekly and the Rockers started. Early days. what kind of stuff did you get upto with breaking? Straight after my first 'Breaking' show at the Easter production I met Jandal J (Justin Haiu) and Bboy Fly (J Williams) we would practice and just copy stuff, I then met graffiti Writers Dyle, Phatone, Diva who introduced me to movies (VHS's) Beatstreet, Wildstyle and Stylewars. We would go busking in town every weekend down Queens Street, or just have a jam by a randum wall where the boys were painting. Then we started picking up gigs and asked to do shows all over the Country. Was an all element Hip Hop Crew. We had the Bboys. Poppers. Graffiti Artists. A DJ. MC's, Singers, Beatboxers. The Church we went to was called Faithcity so It was Dyle who gave us the name Faithcity Rockers. We would do this every other weekend, tour. concrete jams in town. I had the car so would pick everyone up. Then more people got recruited. 46styles and 4orm joined. Alastair, Ants now who are in Prestige Dance group.. and so on... We would do roadtrips to parachute festival every year and also CTC Talent event in Wellington. Was cool. met heaps of people. So youve been Bboying now for almost 20 years! non-stop or have you had a break? Yea.. once I found breaking I havent stopped. Even with a dislocated Knee I still entered BOTY NZ in 99'!! think the longest period I havent had a jam is like 3 weeks. i just get the shakes if I dont dance. So yea dont plan to stop anytime yet. Still got to be ready anytime to rep! How did you get into doing events and stuff, how did Thebreaksnz come about. Guess ive always been abit of a facilitator. Always instigated alot of things, started things up or giving things ago. abit of a dreamer i guess. Kind of how i got my name from the boys. Step. 'First to Step up' 'Took the first Steps' I was a little older also.. so I had the car and a job so had money to do stuff. Shouted the boys alot and just made things happen. Was just a natural thing, feel blessed I get to do it fulltime these days. So yea theBreaksnz was just packaging all the stuff ive been doing anyway for years, but presenting it in a tidy, understandable package I guess. Always been about Connecting People and Creating Opportunities. I didnt get into it. I just ended up doing what I do more until yea where Im at today. Whats your focus at the moment. Breaking - I have seasons.. Usually if I see a gap or an area that isnt working to well i will try do something about it. 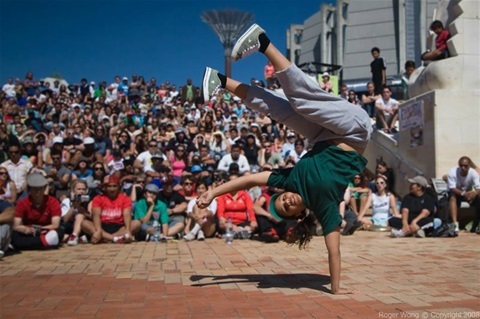 For a few years now it has been to Get New Zealand Connected and Exposed to the Worldwide Bboy Community. So have been creating opportunities to do this for our local Dancers. travel is awesome! But my groundroots has always been the weekly Jam Spot, the localhangout sessions. Will always do these. New projects coming upwe can look forward to. So much.. i got books of ideas and projects I want to do! Feel free to make them happen if I dont! hehe. National Bboy Magazine. Talent Agency. NZ to Hold its own International Event. Bring back a 'Hiphop Summit' deal. Open A fulltime Bboy studio. Shop. Produce clothing. Take NZ artists around the World!! etc etc. All Know the way... Few Actually walk it. 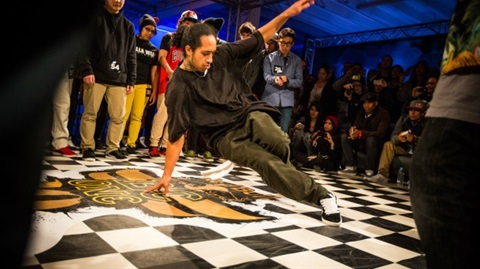 Akorn from Common Ground crew will represent Aotearoa New Zealand this year at both Battle of the Year World finals and the BCONE Asia pacific final. In this interview we catch up with Akorn and see what he has been upto. So tell us what have you been up to lately? I have been lucky enough to have been a part of The Cypher Show, this is a theatre breaking show created by Nick Power. This show enables the public to experience being part of a cypher. We have been touring in Finland, Melbourne, and all through the Northern Territory. How have you been preparing for the back to back BCONE Asia Pacific Final and BOTY World Finals? Its been tough preparing for this as I've been busy with The Cypher Show. I had 3 weeks before I left to prepare properly. I've been constantly running my moves and battling friends at trainings. What are you looking forward to the most from these two events? I enjoy the whole experience of competing overseas, meeting and learning off other bboys, the competition and the travel. What was touring the outback of Australia like? It was an amazing experience, I had a lot of fun with the Cypher crew, experiencing the difference in living in the Outback compared to the city. Limited entertainment meant we spent alot of time hiking and swimming in lakes and hot springs. What was the most dangerous thing you saw in the outback? Tell us three highlights from the tour? Performing in Lajamanu a remote community in the desert, kayaking through Cathrine Gorge, getting to know the boys on tour. What have you learned from being on tour? I learnt that being on tour is 80% waiting and 20% performing. What are you top goals for next year? Taking my training to a higher level. I really enjoy training. My hunger to win, learn and improve my dance skills is what keeps me motivated. Any advice for those out there who want to start living their bboy/bgirl dreams? Don't be afraid to make dancing your top priority, sacrifice video games, weekends out and the 9-5 jobs to follow your dreams. What is Bboy Dyzee like, can you describe him in three words? How did you find the R16 Oceania qualifier? The event was real fun I enjoyed battling Australia and the level was good. The jam was run well, short rounds made it interesting and hyped. I just love that there are jams like this for us to attend and have a chance to rep. I done a lot of thinking, I believe the mental part is very important. I was training hard as well, freestyling a lot of the time and working on all areas of my breaking to match a majority of the dancers, and battling myself. What was it like being chosen as a wild card for the R16 World Final? Being chosen was super amazing as i've always wanted to go to Korea. To be a part of a world event is huge and I cherish that always. I was very thankful and excited, this event has been on my bucket list for a while so it definitely meant a lot. Tell us about the showcase round? It was very hard for us because 3 of us live miles away and could not rehearse together at all the 4on4 winners crafted the ideas and then when we all met up in Korea we made the show up in 2 days. I think we did well considering. It was fun performing on stage. A great experience. We knew we had a disadvantage as the shows were judged and the battles where selected based on this. Our approach was to go hard no matter what. What are three things you learned from participating in R16? The level is really high and you must be prepared. I learnt you need to give everything in the first round because sometimes that’s all you get. R16 event is very organized. Tell us 3 highlights of the Trip? Battling the Korean team, cyphering with countries, connecting with team Australia. I will be representing my crew common ground in a world event called pacific break which is held in New Caledonia at the end of October. Hopefully some other events in NZ/Aus if I can afford it. Just train hard look for sponsorship and represent. My acheivements are still dancn .busy life style n bein a father n partner n worrkn hars n never havn an excuse not to dance. N thats why I rep last of the Real the name says it itself in my circle I mean Stand out was bein able to crack stepcorrect with mel n critter n bein named event of the year n bay of plenty Tips in getting involved will be just hav fun n wen u understand u will know the answer n will wana grow n illeave it up yo u how u take ur jorney but nothn to be afraid of. Interests: Music, Art, Dance, Learning, Teaching/sharing, community, HIPHOP and heaps more. Don't be a big headed guy, be humble. Don't be new and think you know, 'cause you don't. Learn from those who came before you, before them and so on. Educate and motivate yourself and others. Even when you think you've "learned it all", learn more. Support the scene. Love and respect your crew/family. DON'T BITE!!! "...Stay real to your true self, not to who you want to be, but who you always have been." - Manitou Nemeen (Q-Rock), Ready to Rock, Mighty Zulu Kingz, BX, NY. I will prepare more sets then needed so I don’t repeat moves and will practice them everyday at least 4 weeks before a comp so I don’t forget them and that I can nail every move. Other interests / Hobbies: Teeth! – Dental industry, Touch Rugby, Basketball, Soccer, eating food! What is Hiphop to you? Hip Hop is a culture, to me; it’s more than just a music genre. Learning about Hiphop has enabled me to explore new places and to meet and network with a variety of people from all around the world. What I like about breaking is that it is an outlet for expressing yourself and at the same time it gives you the opportunity to challenge yourself by entering competitions. What got you into Hiphop? Initially chorey dancing and entering competitions, it then eventuated into breaking after meeting a couple of bboys that also did chorey. From here I slowly got into Hip Hop, talking to original Hip Hop heads that shared the knowledge, got educated with the history of Hip Hop and became more inspired to breakdance. 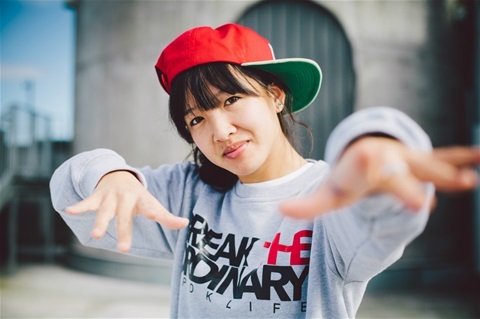 Travelling abroad in my earlier stages of my break dancing journey I have experienced the hiphop culture in all different parts of the world, such as USa, Asia and Europe. Each place has given me inspiration in my dancing and I have built new friendships with people who share the same passion as I do. Why do you do what you do? It’s fun, challenging and there’s always more to learn! first time I saw breaking live! This event got me hooked on breaking and I haven’t stopped since. Talk a little about your BOTY experience/trip. My BOTY experience was overwhelming at the NZ qualifier where my partner, Deemite, and I managed to pull through with the victory after 3 intense battles. Unfortunately, on the lead up to the world finals, I injured my knee 3 weeks before BOTY Germany, therefore my trip wasn’t what I hoped to be. During the battle in Germany, I was unable to go all out but I still had a lot of fun and fortunately Deemite had my back throughout the battle. The overall BOTY event was pretty amazing. 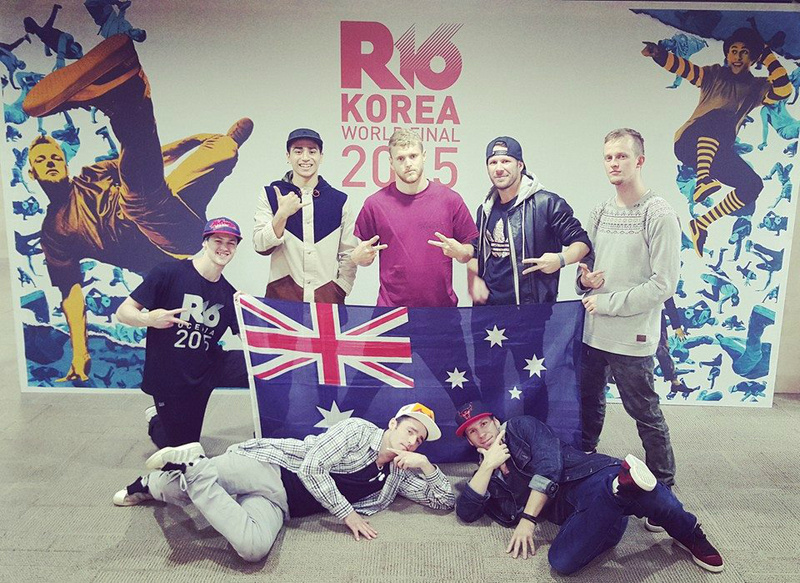 I met a lot of other bboys from around the world and also saw a few familiar faces at the jam, which was nice! Key tips for anyone interested in learning about Hiphop: Anyone can do it, train hard, practice makes perfect, travel, dance to the music – it’s all about the music, and most importantly - have fun! Where to next for you? keep doing what I do, start my new career as a dental hygienist/dental therapist and keep break dancing as my number one hobby! Focus on making 100% recovery after knee surgery and get right back into it. Any last words? Travel, Travel and Travel! Where you’re from: Born in Zimbabwe, been living in New Zealand for 12years. I think I have a good all round style tops, footwork, a little power and some freezes J as well as some tricks that I throw in to make it unique and interesting! Cooking, baking, hanging with friends and family. How long have you been involved in the scene for? What got you into Hiphop? Inspirations? My husband/bestfriend/ BIC (bboy in crime) Bboy Stretchmark. He started teaching me when we were younger and continued to train me throughout the years. He is my inspiration as well as Bgirl Asia, Bonita ,AT, Jazzy Jes and my crew the U-Knights. Travelling and attending events/jams are another inspiration for me. What was your first Hiphop event? Describe how it went down? NZ Hip Hop Summit 2005. I entered the Bonnie and Clyde battles with Bboy Stretchmark ( my friend then) and we won! My very first battle ever and we won! That was mad inspiring for me! It was the first time I got to meet all the bboys and bgirls in the scene. I left that event on cloud 9! Take workshops, go to breaking events, meet people in the scene and have fun! Big ups to the breaksnz for this opportunity to represent! Shoutout to my crew the U-Knights! 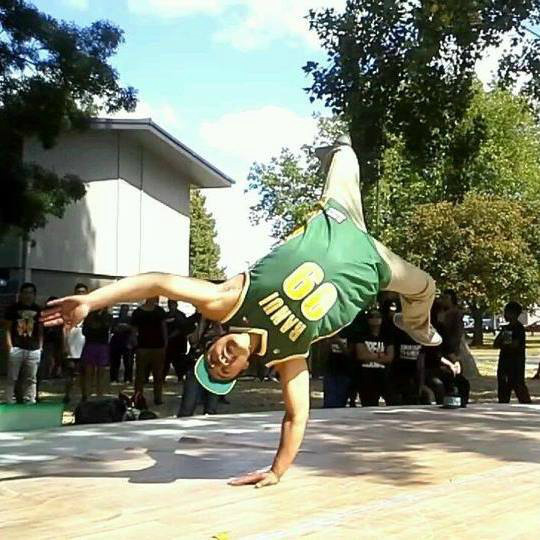 Battle of the Year (B.O.T.Y) held in Germany last October. It was a real privilege to represent my country and to be involved in this amazing event, doing what I love most – break dancing. Not only was it a great opportunity to meet other Bboys from all around the world, but also fantastic to see some mind-blowing performances by dope Bboys. The event was held in Braunschweig, Germany. All the Bboys and Bgirls stayed in the same hotel and we were all transported to and from the venues in buses. HD (Hi-Definition) – Bgirl Demite and I were scheduled to compete in the 2-on-2 Bgirl battles which were held at the pre-party event on the Friday night. Upon arrival we were welcomed with free drinks and canapes, and lead to a movie theatre via red carpet to watch the 1-on-1 Bboy battles, followed by a free viewing of the movie “Battle of the Year”. Unfortunately, we weren’t able to watch this movie as we had to hurry off to get to our pre battle briefing and warm up. Our first round battle was against Bgirls Terra and Eddy (U.K) and unfortunately we got knocked out by these two sisters. Despite not winning, it was an honour to meet and have battled these two girls and post comp this built into a future friendship. The highlight of my night would definitely be witnessing the amazing talent of Japans B-girls in the Japan-Japan final. Their performance was immaculately executed and the crowed was hyped, creating an intense atmosphere and leaving everyone buzzing. 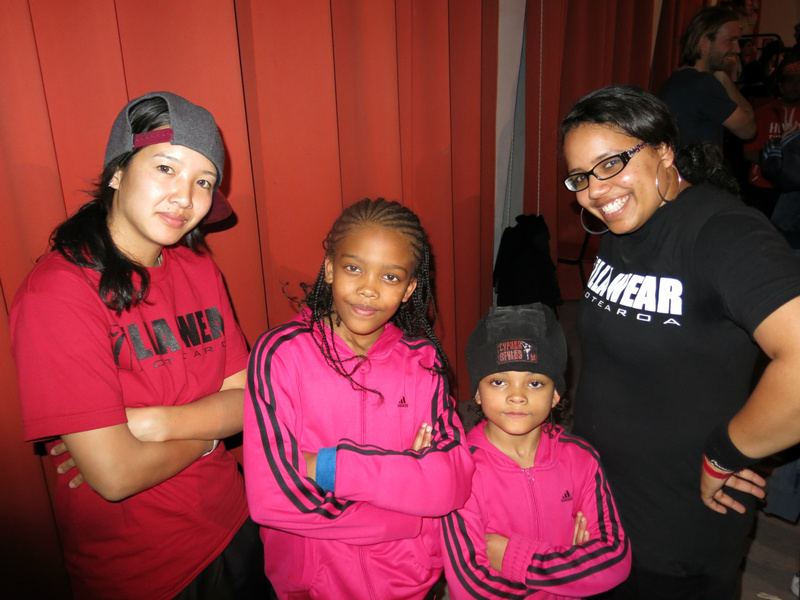 The following day we headed out to watch the Bboy crews and witness yet another amazing event. When looking out from backstage, it was like looking out at a sea of thousands of fans who had all lined up for several hours to get in. Cyphers were happening in every direction and food stalls were scattered around the ground floor in between merchandise outlets. We were lucky to get first dibs on purchases before the public flowed endlessly into the arena. The performances were entertaining, some crews had props whilst othesr didn’t, but all crews had plenty of crowd pleasing blow up moves like flips and tricks. During intermission between the Bboy crew performances and Bboy battles crews, ‘Zamounda’ (France) and ‘Morning of Owl’ (Korea), performed hip hop sets to keep everyone enthused. The crowd of thousands set a good vibe for the Bboy battles which kept you on the edge of your seat as they rolled out routine after routine after routine. The atmosphere grew exponentially as the crowds went crazy off blow ups and the crews fed of the raging crowds, and so on until the atmosphere can only be described as epic. Finally, Fusion MC (Korea) took 1st place against the Ruggeds (Holland), in a closely fought final! We concluded the overall trip with a bit of sightseeing travelling to Berlin, Rome and France. Overall this trip to represent New Zealand at B.O.T.Y Germany was an amazing experience and gave us an opportunity to see, meet and make friendships with other international Bboys and Bgirls from all around the globe. What have we gained?? This trip has been inspirational and we’ve returned back to NZ with a different mind-set and the newly found motivation to train harder, travel to more jams abroad and simply … keep on dancing! Lives in Phoenix, Arizona living in Los Angeles CA. Describe your style: My style of breaking is a mix of everything I’ve learned, from all the teachers I’ve had, every style I’ve ever trained in or been exposed to, wrapped up into what I do on the dance floor. I would say my style is funky, dynamic, and abit more sporadic these days. What makes my style unique is that I just love to dance period. I love being guided by the music and I love to do what makes my soul feel good. When I was younger in my breaking, I was very caughtup in the moves and trying to execute everything correctly, but thank God that mentality left me many years ago. I just stay true to what moves me and embrace my history and that has made me the Bgirl I am today. What got you into breaking, Inspirations: I had been exposed to what I would call ‘Breakdancing’ since elementary school, from all my cousins that would do windmills and waves in the 80’s Haha. It wasn’t until 2001 that I was re-introduced to what I would know as Hiphop. The culture, the scene, the party, the cipher, the battle. I remember seeing my first teacher, House, President of Furious Styles Crew, getting down in a cipher, sliding on his head, shuffling around, not understanding anything he was doing, but realizing, “Thats what I want to do!” I fell in love that day, and never looked back. Tell us about your NZ Tour: I had an incredible time and unforgettable time in NZ! Wow, there were so many highlighted moments that come to mind! It was a perfect balance of tourism mixed with Hip-Hop Culture. I got such an understanding of NZ Maori Culture, visited Mount Eden, The Museum cultural experience, went to Rotorua Geothermal pools at Hell’s Gate, went to the top of the Skytower and witnessed someone Bungee off! I also went to church, drank L&P, ate Pineapple Lumps, Boil Up and Pavlova! Yes, I got the full experience which made me fall in love with the Country. I also was able to connect with some incredible people within the community. The Southside Gig, the practice sessions / workshops in Auckland and Hamilton and just sitting around and eating together. I loved the argerness I felt during the workshops and humbleness to grow and learn as a community. Thankyou to Kent & Awa for making the trip possible, and to Dujon and Jody for your Hospitality. Will we see you agin in NZ: Absolutely! NZ is on the top of my list! No Joke! I cant wait to get back. Key tips: Do your research! Find out who you should be learning from in your own city and start there. Seek. Ask Questions. Love the music. Battle. Remain humble. Learn your foundation. Have fun! Last words: Checkout my new website! You can findout abit more about who I am, see pics, videos and also merchandise. Much love to the NZ Hip-hop Community!! Other interests / Hobbies: Hanging out with Khan. What got you into Hiphop. Inspirations: The Time Bandits set a good example for us in Hamilton as to what HipHop was all about, all 4 elements were represented together. My early inspirations were the Bandits. They were a lot older than me, and they were the cool fullas that I wanted to be like. Why do you DJ: I DJ because its fun. What was your first Bboy Event you Dj’d: Describe how it went down: The first actual event was Thursday 24th of March 2005 - Goodbye Youthzone Super BBOY Celebration, it was an event that me and Dujon ran because our weekly jam spot was getting shut down. 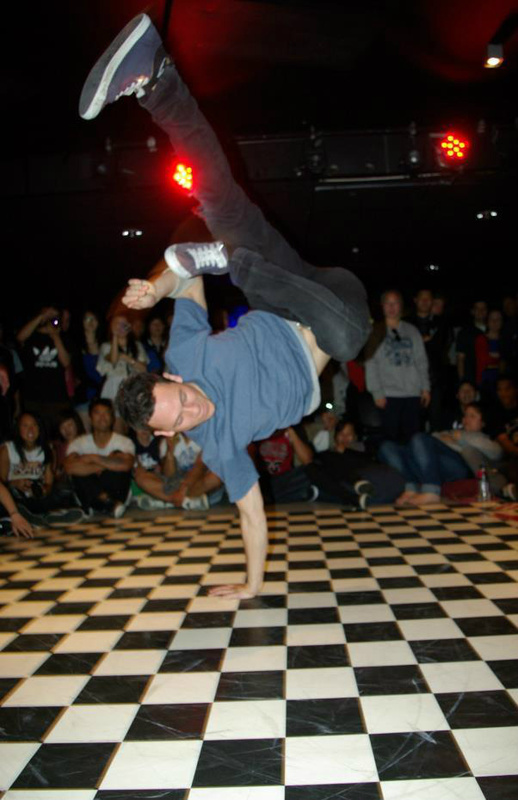 Whats your track record /titles, Bboy Events you’ve done to date: I've DJ'd pretty much every major BBoy jam in NZ since 2005, just starting to get my name known over in Australia now. 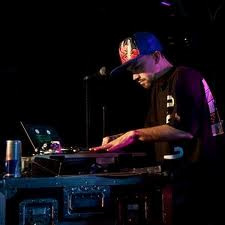 Outside of the breakin world I won the NZ Redbull Thre3style title 2011. Whats the biggest difference between a Break DJ and someone who plays at a club: The biggest difference is that a Break DJ is DJin to a bunch of sweaty dudes in a gym, and a club DJ is DJin to a bunch of sweaty girls in a night club. How do you prepare to DJ a Bboy event? It's kinda an on going thing with preparation, it doesn't really stop. I'm always in preparation mode. Key tips for anyone interested in learning DJing: Yeah, watch what I do, and do the opposite. Where to next for you? As far as been a breaks DJ, I don't really know man. Get my name out of NZ I guess. 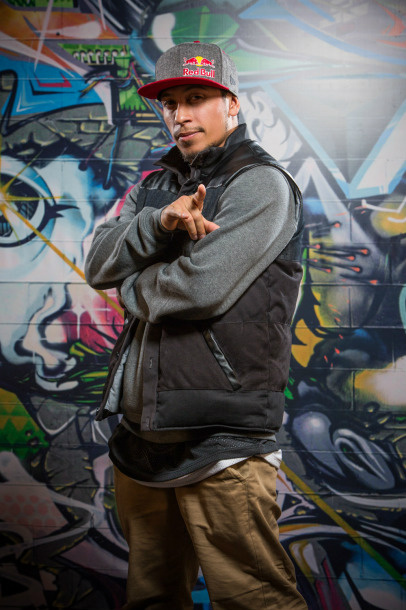 B-Boy superstar and legend Omar Delgado, or better known as ‘Roxrite’ headed over to New Zealand this week to teach workshops in Christchurch, Wellington and Auckland, and judge the Red Bull BC One New Zealand Cypher. 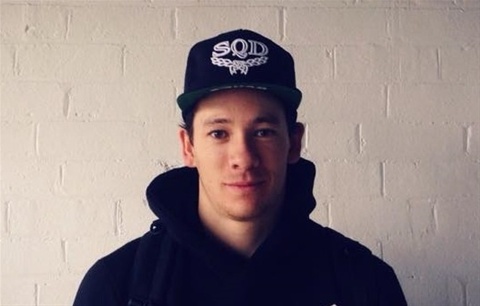 The Red Bull BC One All Star and Renegades crew front man loves coming to New Zealand. 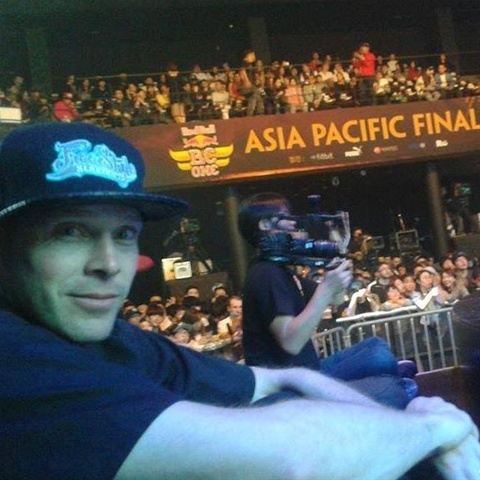 “My first trip to the country was last year to judge the BC One Asia Pacific Qualifier. New Zealand is pretty amazing, and we were really well looked after here. So when the opportunity came up to come back for the Cypher, I jumped at the chance”. At each of the workshops, Roxrite taught all of the excited B-Boys about strength, stamina, passion, how to battle effectively and discipline. “Stamina is the key element to making you better, stronger and dominate in a battle” says Roxrite. “Being aware of your component is very important. If you know how to use your moves, that makes you one of the best guys”. He engaged the crowd too by telling real and funny stories of his travels, battles against other well-known breakers and how he developed his own style. “Develop your style, you don’t have to always use explosive moves when you’re breaking,” he says. What got you into it: I got into it from watching other kids at my school break. It really felt like thats what I was meant to do when I saw it. It was that thing that stood out in my life, you could say it was the “cool” thing not many kids were doing. A chance to be different. Insiprations: there are many, I always just keep it simple and say who the people that inspired my style are. Ground level, Ken Swift, Remind and Thunder. Last words: NZ thanks for all the support both times i’ve been here. Much respect and keep staying hungry and motivated. Look forward to seeing you guys again. Either in NZ or somewhere around the globe.